Twitter is taking steps to make itself a destination for messaging. The option is available in your settings, and it appears to be opt-out. In order to compete with the multitudes of messaging options out there, Twitter is looking to make Direct Messages more useful to the average user. 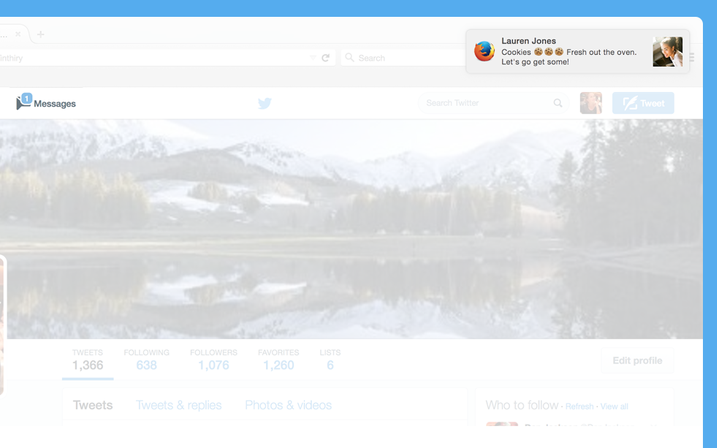 Desktop notifications make DMs feel more like a real-time chat, which could be what Twitter’s going for. Last week, Twitter ditched its 140-character limit on DMs. You can now send private messages that contain up to 10,000 characters. “While Twitter is largely a public experience, Direct Messages let you have private conversations about the memes, news, movements, and events that unfold on Twitter. Each of the hundreds of millions of Tweets sent across Twitter every day is an opportunity for you to spark a conversation about what’s happening in your world. That’s why we’ve made a number of changes to Direct Messages over the last few months. Today’s change is another big step towards making the private side of Twitter even more powerful and fun,” said Twitter at the time. This isn’t just for your average Joe Twitter users. This is big for businesses and brands, as Twitter wants them to be better at interacting with customers/fans.